Bill Futtersak, Ph.D. is a licensed psychologist at Thriveworks South Charlotte. He has been a practicing psychologist for more than 25 years. Bill received his B.A. from Brandeis University and earned his doctorate in Clinical Psychology at Stony Brook University on Long Island. He is a specialist in Cognitive Behavioral Therapy (CBT) and has dedicated his career to helping clients of all ages overcome a variety of individual, family, work, and school related challenges. Formerly the founder and director of Long Island Anxiety Care, Bill also served as director of the Dual Diagnosis Program at Brunswick Hospital in Amityville, NY, where he developed and oversaw a treatment program blending CBT with 12-Step Recovery for men and women with mental health and substance abuse issues. Working from a CBT perspective, Bill provides a therapy environment that is highly interactive. He provides lots of feedback, support, and practical direction to help his clients increase their confidence and move forward toward their personal goals. Bill places particular emphasis on helping children and adults reduce worries and overcome fears and anxieties so that they can lead richer and more social lives. He has special interests in helping clients with fears about driving, flying, public speaking, and socializing and treats couples from the perspective that overcoming fear will lead to more closeness and intimacy in relationships. 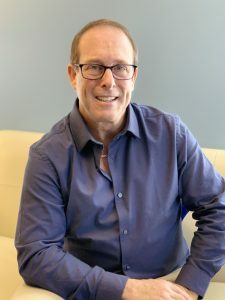 Bill also has passions for educating clients and their family members about Obsessive Compulsive Disorder (OCD) and for helping individuals reduce self-defeating behaviors and make lifestyle changes to improve their health. Bill is the parent of three children and is new to the Charlotte area. He believes strongly that counseling should be readily accessible to people when they need it and recognizes that each of us, no matter the outside image we project, will probably need this type of help for ourselves or for a family member at some point in our lives. 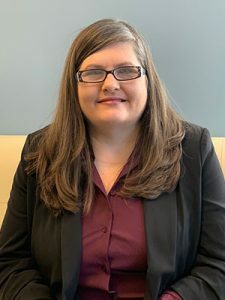 Robin Marks is a Licensed Professional Counselor Associate in the State of North Carolina and has been licensed by two other states throughout her career. She earned a master’s degree in Professional Counseling from the University of Pennsylvania and her undergraduate degree from American University. She is also a Nationally Certified Counselor. Robin’s work with clients is guided by Existential Therapy, focusing on how the therapy relationship can help clients gain self-awareness, while frequently interweaving Cognitive-Behavioral (action-oriented) exercises and Person-Centered principals, including unconditional acceptance. 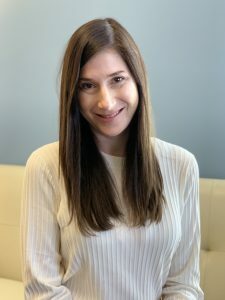 Robin has worked in higher education, agency and community settings, With 10+ years of career counseling and mental health experience, Robin specializes in working with adults and young adults with career concerns, those who are considering adoption as an option for starting or growing a family, as well as those with Adjustment Disorder, Anxiety and Depression. Karen Sumner-Matson has been a Licensed Clinical Social Worker since 1993. Prior to that, she received a Bachelor’s degree in Psychology. Using a client-centered approach, Karen treats all age groups with a variety of concerns including depression, anxiety, Bipolar Disorder, personality disorders, ADHD, abuse/trauma, addictions, parenting issues, and couples treatment. Karen utilizes Cognitive Behavioral Therapy, Reality Therapy, Brief Solution-Oriented Therapy and Motivational Interviewing. She is a creative counselor with experience using Play Therapy and Art especially with children and teens. She works to empower her clients and to help them develop the tools to overcome obstacles. Kim is Co-Owner, Licensed Professional Counselor Associate, and a National Certified Counselor (NCC). 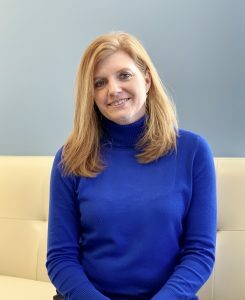 She earned a master's degree in Clinical Mental Health Counseling from Montreat College and a bachelor's degree in Child and Family Development from the University of Georgia. Kim is experienced working with teens, adults, families, and groups. Kim treats clients with concerns including Substance Use Disorders, Anxiety, Depression, Adjustment Disorders, Mood Disorders, Parenting Concerns, Co-Dependency and Marital Conflict. She uses a client-centered approach, mindfulness, cognitive behavioral therapy, motivational interviewing, and solution focused therapy. She often integrates creative and experiential techniques such as art and music into her therapy. As a Prevention Consultant, Kim works with schools, community centers, treatment centers, and other organizations facilitating classes on substance abuse prevention, bullying, self-esteem, parenting, and many other topics. She is a believer in group work and facilitates both Thrivegirls and Couples Thrive in Recovery. Kim looks forward to establishing relationships with trust, respect, and empathy. She will “meet each client where they are at,” and will work on providing a safe, warm, and respectful environment.